If you are joining the Club monthly walk at De Mond Nature Reserve tomorrow morning (Thursday 1 October), don’t forget to bring your Wild Card. If you don’t have that card, you will have to pay a conservation fee of R40 to get into the reserve. We meet on the parking area opposite Fernkloof Nature Reserve Hall at 07:15 to consolidate transport, and for departure to De Mond at 07:30. Please bring you own refreshments and drinks for a picnic after the walk. Participants in the Club monthly walk on Thursday 1 October will split into two divisions to stalk the waders and terns at De Mond in a classic double envelopment maneuver. The advance on the western flank will be led by General Mike Ford, and on the eastern flank by General Chris Cheetham. The target will be flying invaders from the northern hemisphere, and especially rarities. Participating troops, armed with binoculars, telescopes and cameras, will assemble on the parking area opposite Fernkloof Nature Reserve Hall at 07:15 to consolidate transport, and for departure at 07:30. Please bring you own rations and drinks for a picnic after the action. General Mike Ford (left) and troop on last year’s Club walk at De Mond. “Fynbos Creatures” is the theme of the Hermanus Flower Festival that begins today. That includes feathered fynbos creatures. 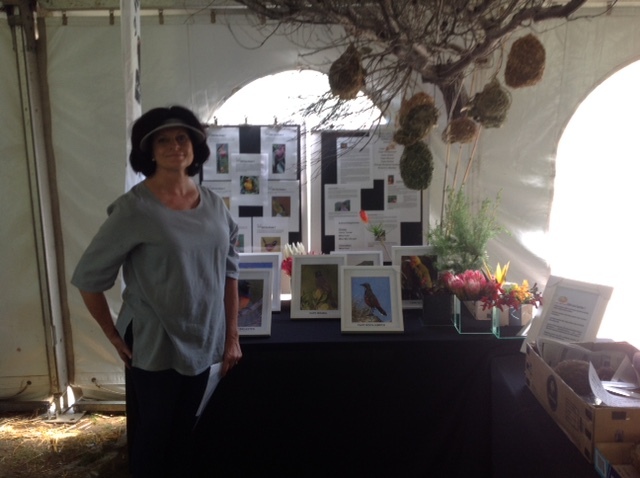 Hermanus Bird Club has a stand at this annual show in the Fernkloof Nature Reserve, that is organized by Hermanus Botanical Society and is open until Sunday. The Bird Club stand was designed and built by Pat Radford. A Club member will be there from 09:00 to 17:00 to answer questions and help people interested in joining the Club. Living feathered creatures will be visible and audible all around the stand, in fact all over the Reserve. Club member Pat Redford at the Club stand that she designed and built. Visit the stand at Fernkloof Reserve from today until Sunday. The French writer Jules Verne had his character Phileas Fogg circumnavigate the world in 80 days on a 20 000 pound wager. That was in late nineteenth century circumstances, when the classic adventure novel was published. Club members Mike and Helen MacNaught probably faced fewer obstacles on their more recent trip around the Cape in 38 days. But then they did it at their leisure, for their pleasure – and for the birding. They will show and tell all at the Club monthly meeting in the Fernkloof Nature Reserve Hall on Wednesday 16 September. Please note that the starting time will be 19:00, as we have switched back to summer time. Visitors are welcome. Tea, coffee and biscuits will be available in the kitchen afterwards. Nice post about the vultures! They really do need every bit of help if they are to survive. 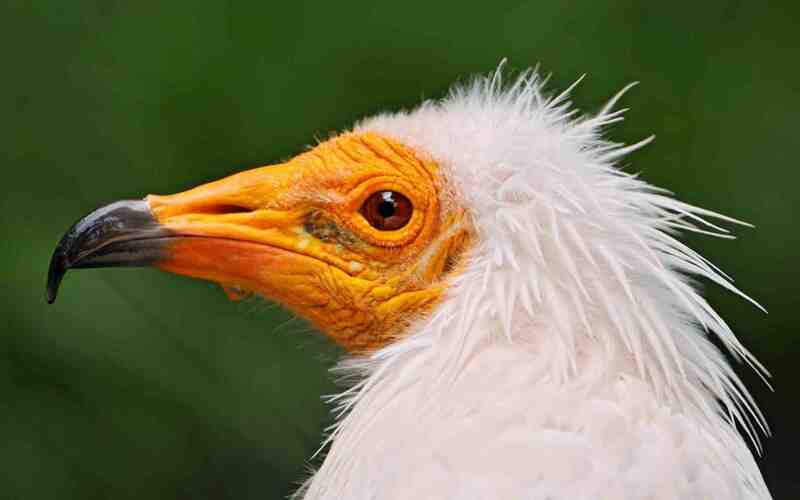 My favourite was always the Egyptian Vulture, which is labelled as “extinct” in the Southern African region. However, from time to time there appeared a report in some remote part of the region of a sighting of this beautiful little vulture, and in my “twitching days” my birding pals and I would jump into a car and go off to try to locate the source of the report, but always without luck. I finally saw the elusive species in 2011 in eastern Turkey. What a mixture of feelings – relief to have seen the species at last and disgust at seeing them trolling through the garbage dump outside the village and covered in muck. Suddenly the bird went from desirable and mysterious species to just another poor creature scratching to survive among the leavings of humanity. Do you have a favourite vulture? Today (Saturday 5 September) is Vulture Awareness Day. 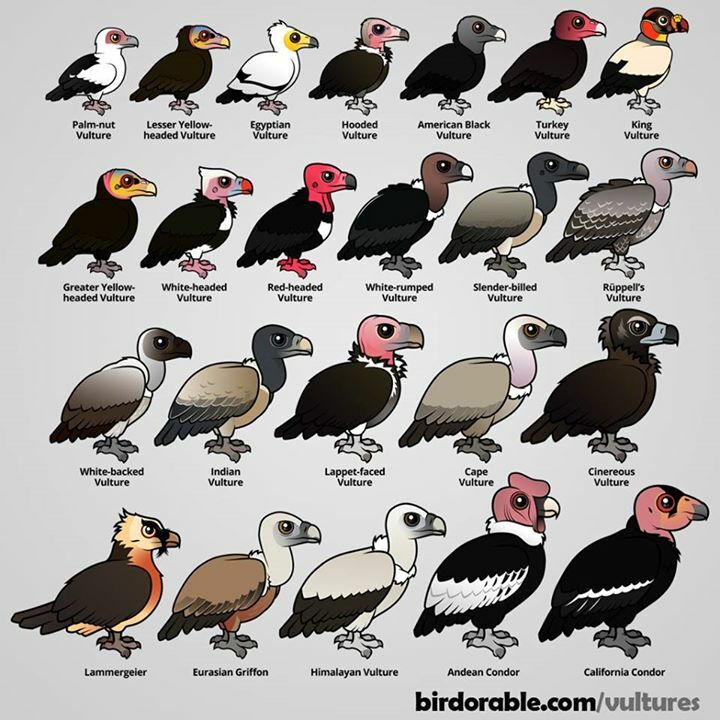 Here are all of the vultures of the world. Which is your favorite species? If you missed the Members’ Quiz Evening in July, you can read about it in the latest Oystercatcher. Better still, the Club newsletter gives you the opportunity to test your knowledge of bird-related matters and whet your appetite for next year’s event. 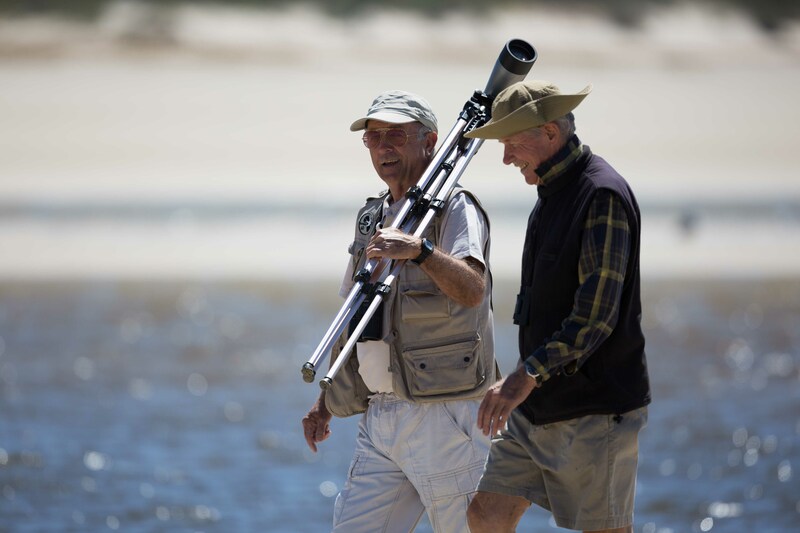 You can also read about Vernon Head’s inspiring talk at the Club monthly meeting in August, based on his book “The search for the rarest bird in the world”. And if you want to know what Mike Ford’s course on Bird Migration in August was all about, you can read the synopsis in the latest Oystercatcher and decide if you want to buy a DVD with Mike’s slides and notes from Chairman Craig Holmes. Read the Oystercatcher by clicking on the link above. 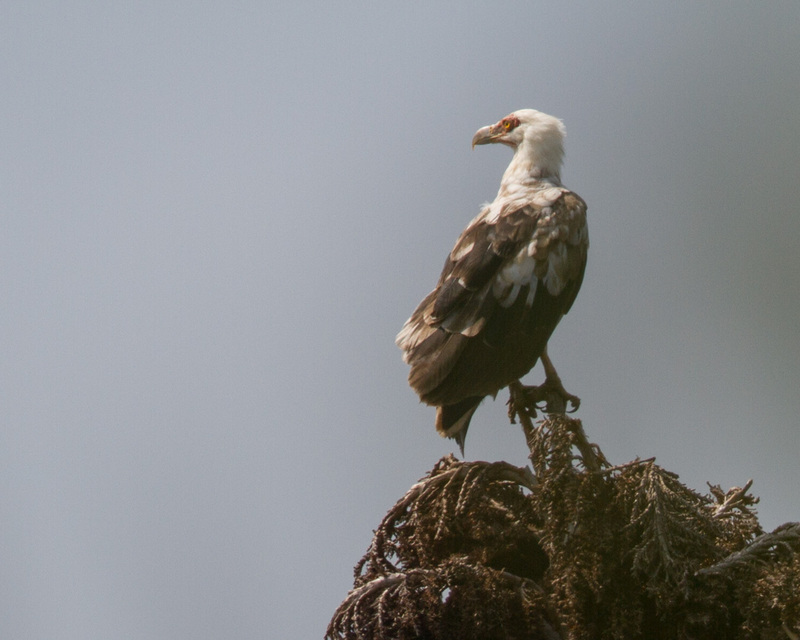 An adult Palm-nut Vulture (Wit-aasvoël) is still in Swellendam, where it was seen and photographed yesterday. The bird has been seen circling over the greenbelt area between the mountain and the first houses around Marloth Nature Reserve today. Apparently, this is the fourth time in the last week that it has been seen over the Western Cape town, but yesterday was the first time that the observer has managed to get a photo for confirmation. The news was reported by Willie Linde to Trevor Hardaker. In South Africa the bird is very localised along the coast of KwaZulu Natal, where it often nests in alien raffia palms and feeds mainly on its fruit. Single birds are known to fly long distances, even reaching the West Coast from time to time. A Palm-nut Vulture (Wit-aasvoël), photographed in KwaZulu Natal by Charles Naudé.